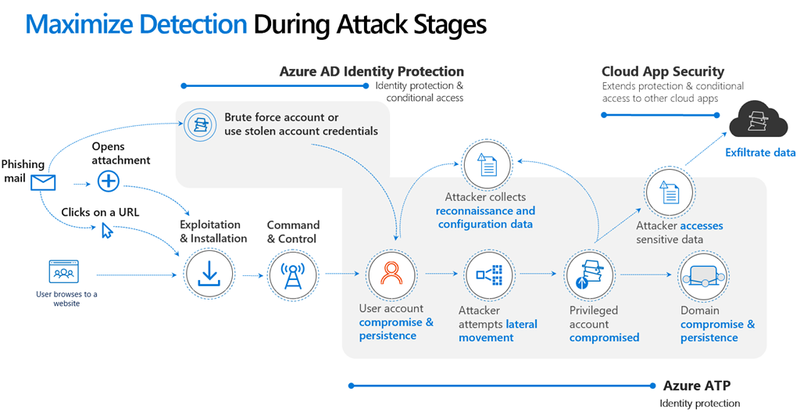 Interested in a deep dive on Azure Advanced Threat Protection? Azure ATP uses real-time data (Network Traffic, Trace data and Events) to find anomalies quickly. It uses a combination of behavioral analytics (profiling users and computers) and known attack techniques, Azure ATP to reduce the number if false positive alerts and allows the SecOps team to focus on what it most important. Azure allows us to scale from the smallest to the largest environments, and the Intelligent Security graph provides a rich source of data to enhance our detections. The Azure ATP engineering team is hosting a series of webinars to help demystify Azure ATP. Check out our webinar series. Details and registration at https://aka.ms/AATPWebinar. The first webinar will focus on Detections & Alerts and will take place on Monday, April 29th at 8:00 AM PT / 11:00 AM ET / 15:00 UTC. We will be posting recordings of the webinars at https://aka.ms/AATPRecordings. To stay informed about future webinars and other events, join our Security Community at https://aka.ms/SecurityCommunity.